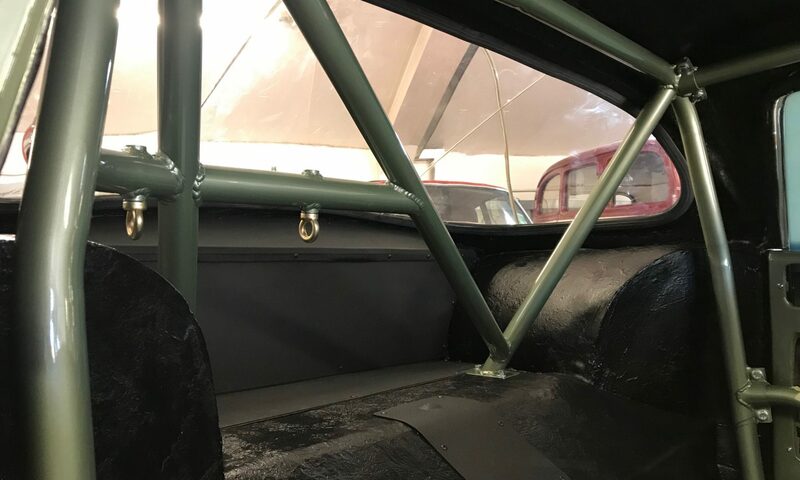 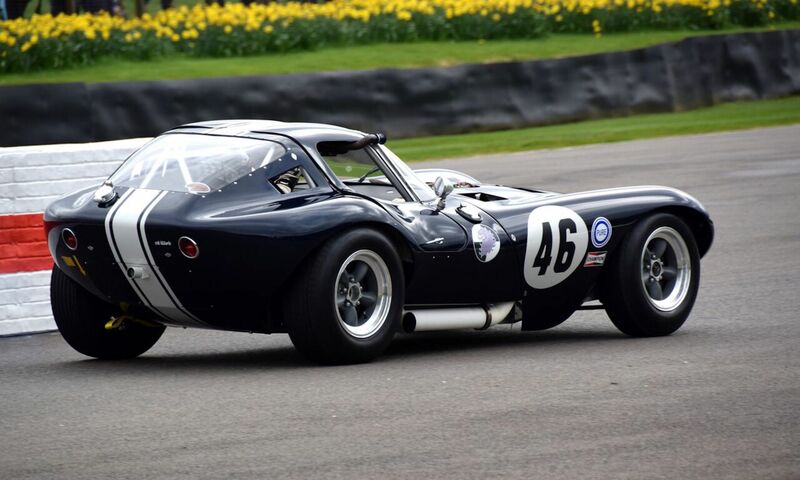 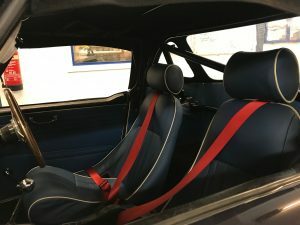 The Coventry Climax engined TVR Grantura of Ian Burford has a brand new roll cage. 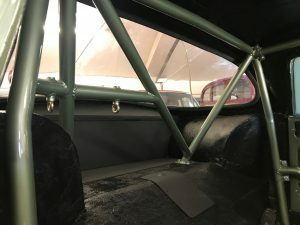 The existing cage had some major issues and safety always has to come first. 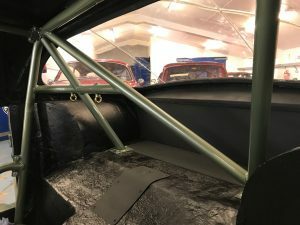 The decision was made to remove the old cage and build a new one to FIA specifications. 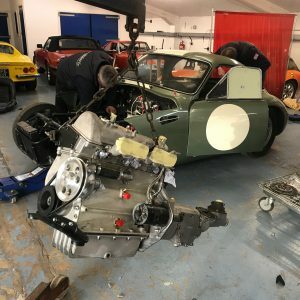 The bespoke cage was made here from 38mm CDS tubing and bolts to reinforced parts of the TVR chassis. 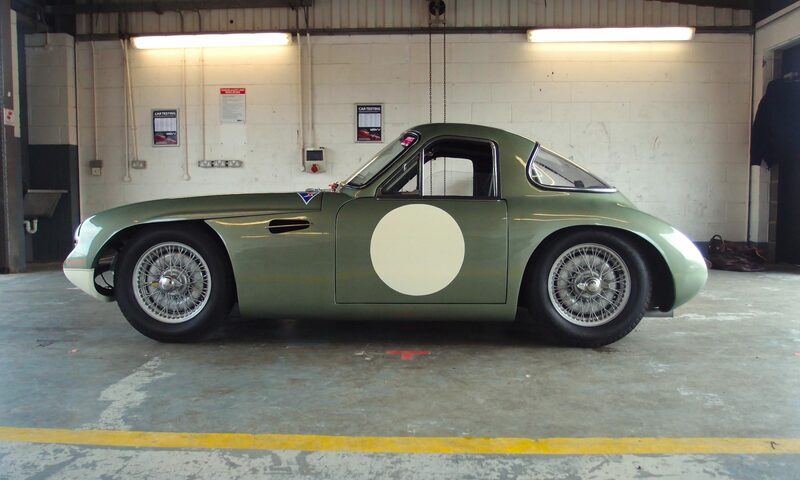 Ian opted to have the cage painted in the body colour, Aston-Martin’s California Sage green. 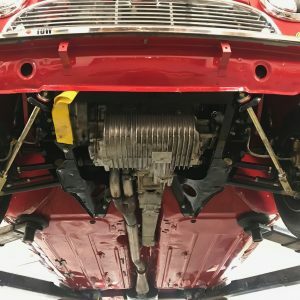 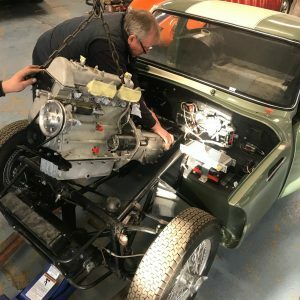 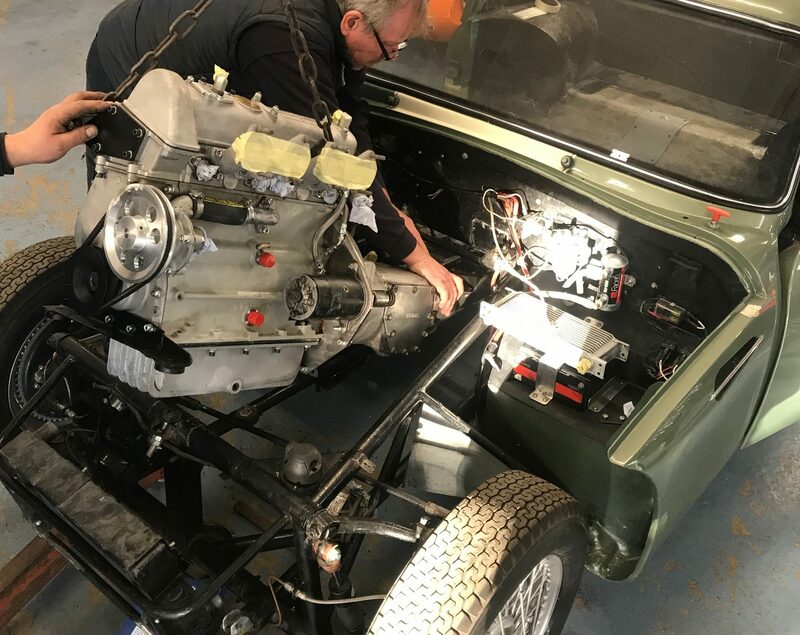 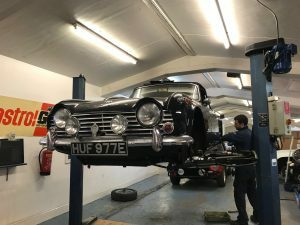 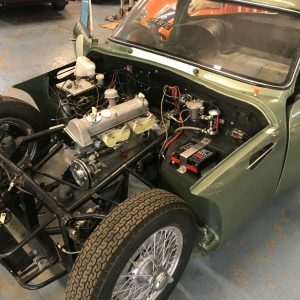 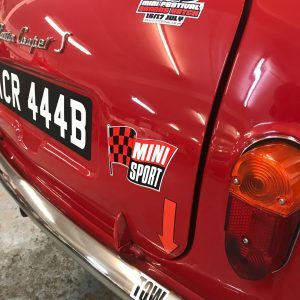 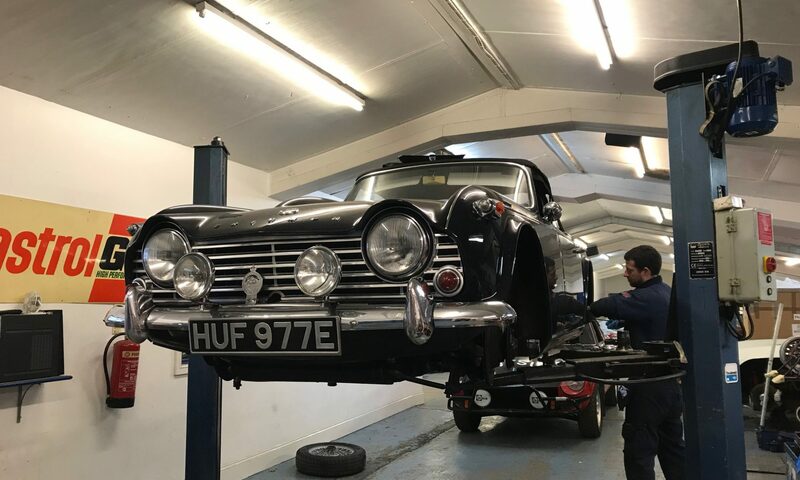 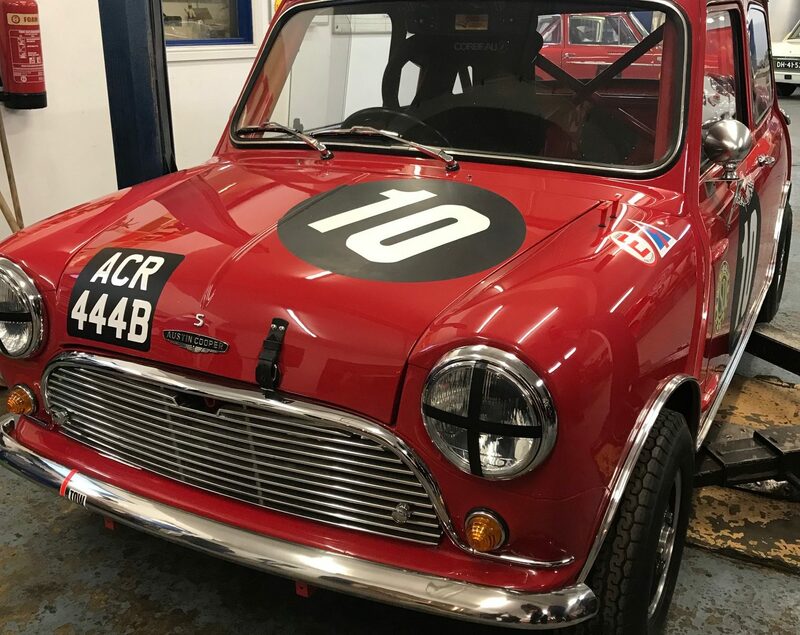 The black and red Triumph TR4 of Dave Griffiths has been undergoing some winter prep for the 2019 season. 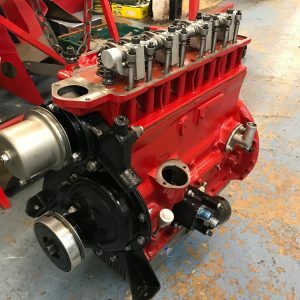 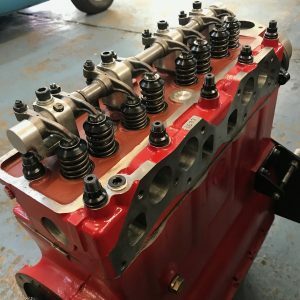 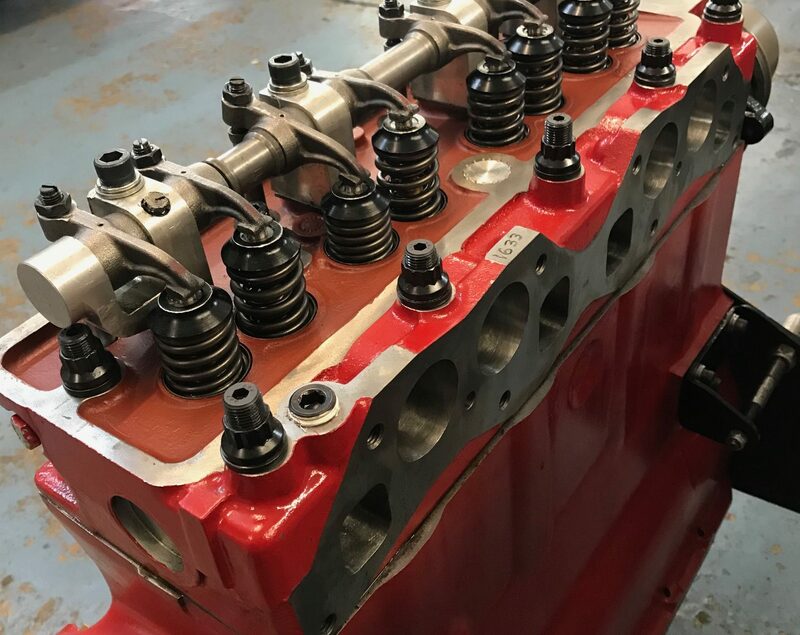 The engine has been freshly rebuilt with a new cylinder head from a new iron casting. 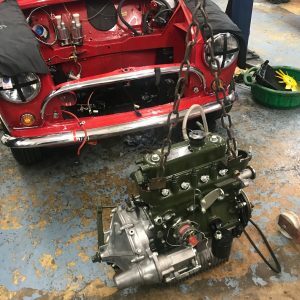 We’ll also be fitting a new clutch plate before the freshly rebuilt gearbox goes on. 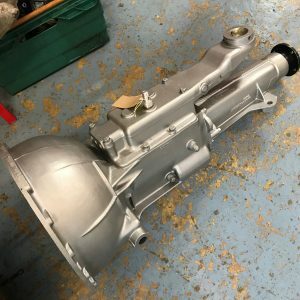 The whole unit will get fitted in the car before a rolling road session to get it all dialled in. 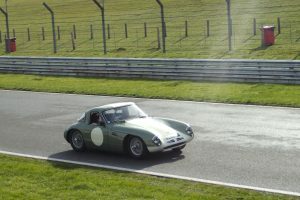 The car has it’s first test booked at Brands Hatch on March 1st. 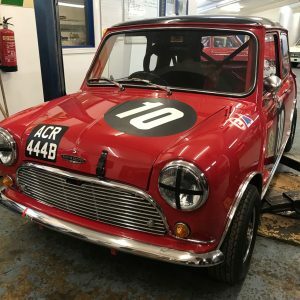 Fingers crossed for a dry day.